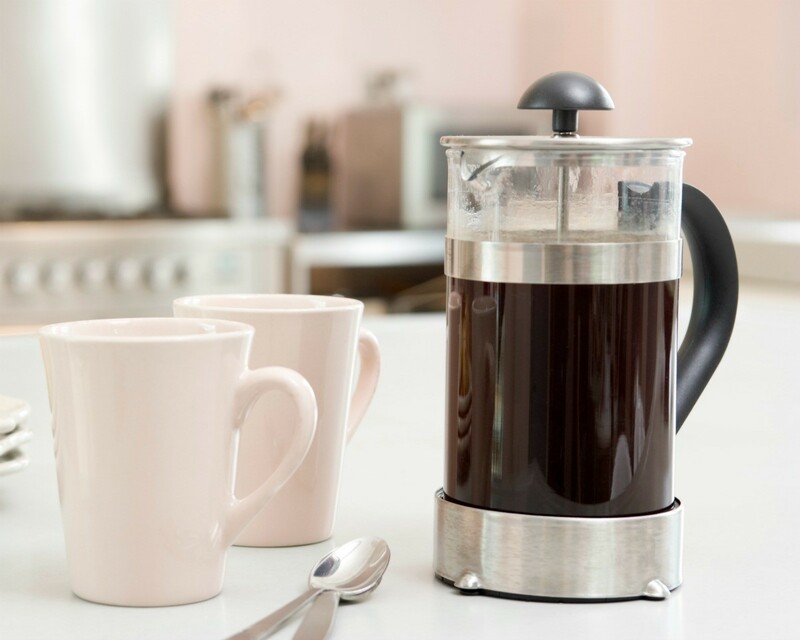 This is a guide about making coffee in a French press. A delicious cup of coffee can be prepared using this method with the right amount of coffee ground coarsely. French press or coffee pot? I just re-kindled my love for coffee recently and found myself in line at Starbucks glancing over and noticing they sold French presses. I have worked with them in restaurants but never tried it so I told my mom I wanted one. Lo and behold, she won a very nice one from work a few years back and gave it to me (she doesn't drink coffee). Verdict: French press all the way! Quick, classy, easy, creamy rich deliciousness. My method is two Tbsp. per measured cup with one Tbsp. for the pot. Enjoy! How much coffee to water do you put in a French press?